Dead plant -- time to call us! 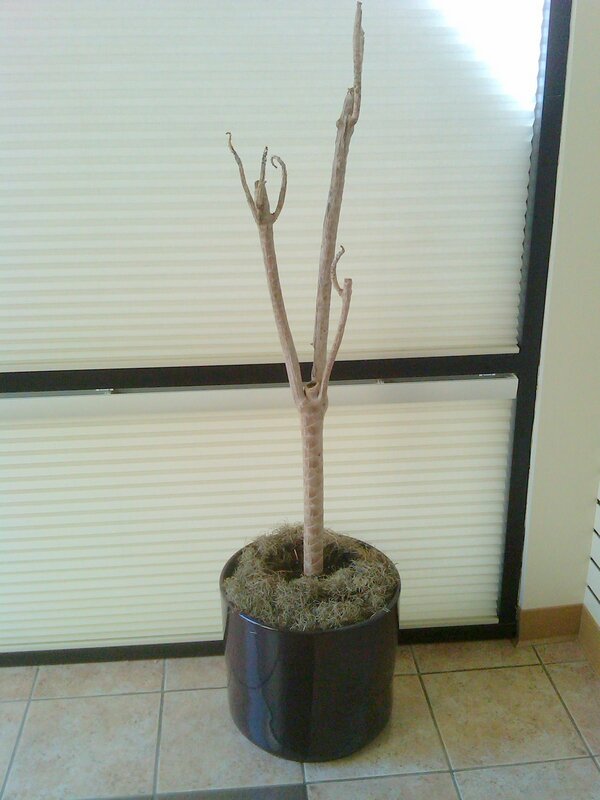 Don't let your plants get this run down -- call us for help. By the way, when we remove and old plant like this, we recycle everything. All of the organic material gets composted, and we even reuse the plastic grow pot. 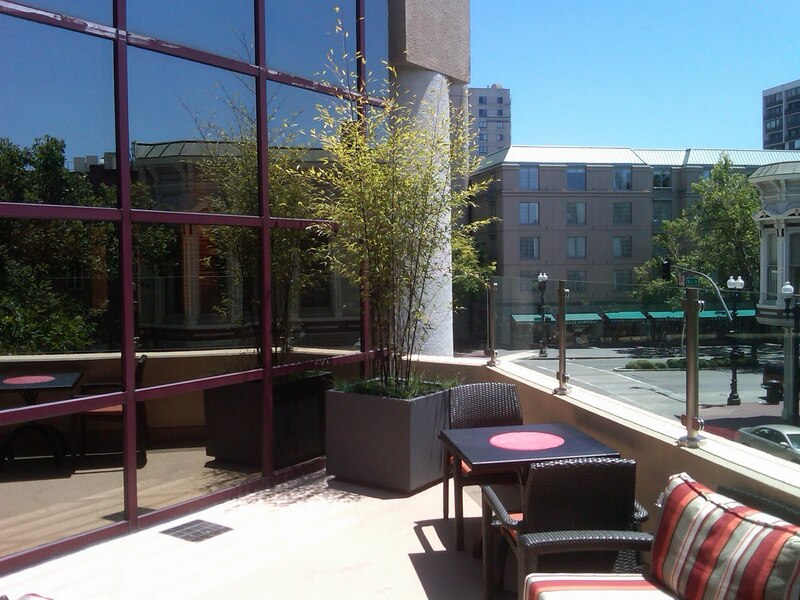 We are a certified Bay Area Green Business and meet or exceed their green requirements. We are not an outdoor landscaper, but sometimes it makes sense for us to take care of outside plants, especially on tall building patios and rooftops where access might be challenging for an outside landscaper. 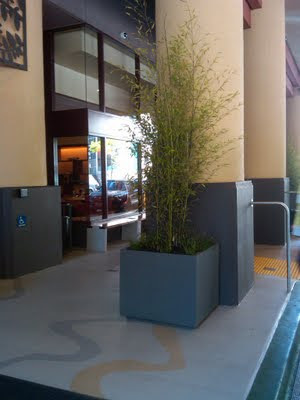 This patio installation is black bamboo in a Tournesol Wilshire Collection square container in MMP Iron color. Tournesol containers are custom manufactured at their facility in Hayward California and are of high quality. They take a long time to create, but are worth the wait. 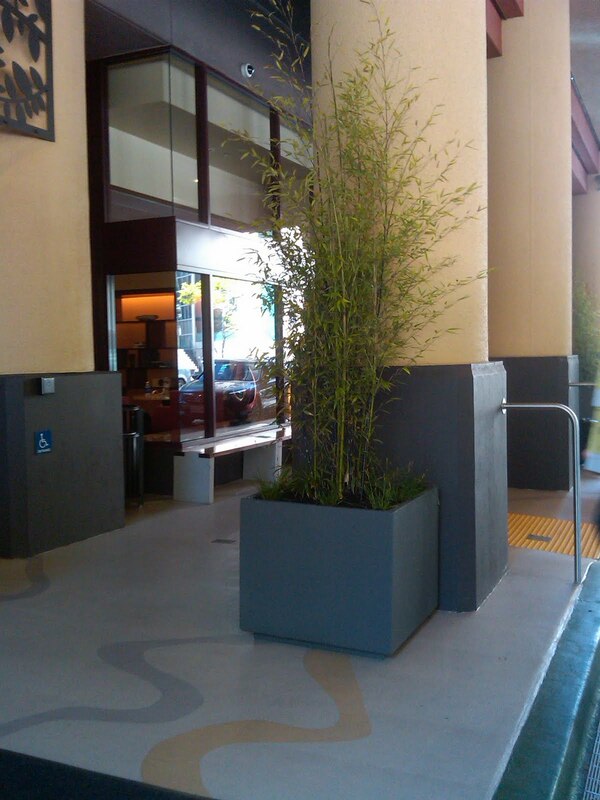 This is the same plant and container configuration in a different location -- very clean, modern lines. This indoor plant was moved outside into the sun for just a few hours. The leaves were badly damaged and will fail in a matter of weeks due to the exposure. Indoor plants have adjusted to interior lighting and will not typically adjust to the direct outdoor sun -- this is true even with plants that need a lot of light. The sudden exposure is just too stressful so avoid the temptation to take an indoor plant outside to cheer it up. 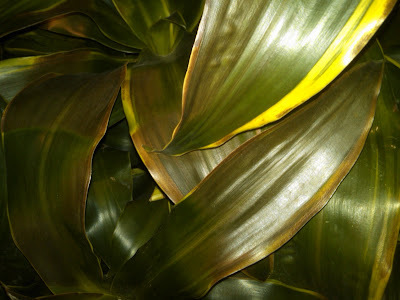 These leaves should be bright green with yellow variegated edges. The brown is due to direct exposure to the sun. 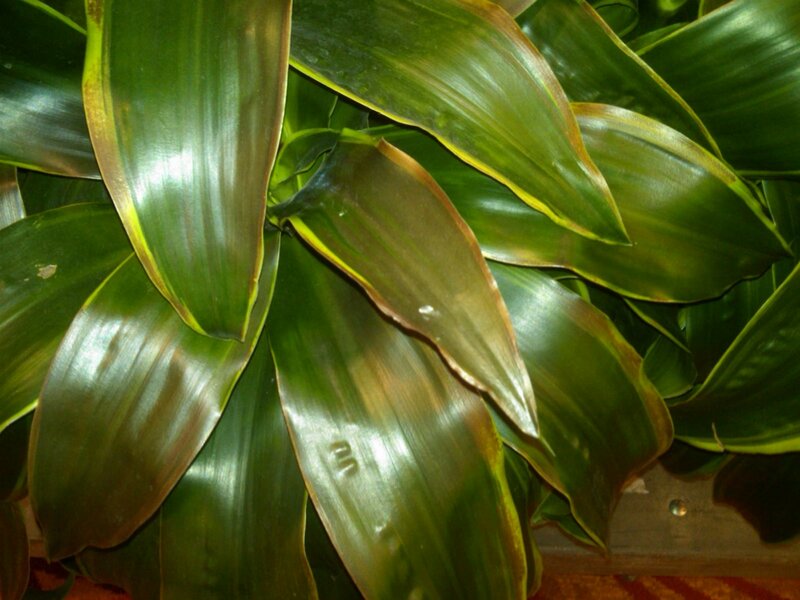 If a plant under our care is not looking good, call us -- that is what we are here for. Do not take it outside for some sun!